Count me in! I'd love to get Ageless discounts, offers, promo codes and novel beauty tips. Thank you from Ageless La Cure by PHYTO5! To ensure you receive our newsletters, please add please-reply@phyto5.us to your email address book. In Deepak Chopra’s first book on the subject of agelessness, Ageless Body, Timeless Mind: The Quantum Alternative to Growing Old, Chopra enlightens us that human beings are magnificently organized networks of energy, information, and intelligence in dynamic exchange with their environment, fully capable of transformation and renewal. The commonly accepted belief is just that: a belief. In fact, it’s an erroneous belief that the human body is nothing more than biological matter similar to machinery that deteriorates steadily and unavoidably over time. Vital energy, also termed by many as life force, is a subtle energy that flows throughout the body. When there is an abundance of it, the aging process is slowed. It can be increased by the way we treat our bodies and even by the way we treat and use our minds. Like begets like, therefore anything we can do to reaffirm life and vitality will increase life and vitality in our lives. Practice breathing slowly and deeply; see our previous blog post entitled, “Six Breaths a Minute to Slow Aging and Its Causes.” Breathing allows us to take in the life-giving force known as prana. Consume a great deal of living organic vegetables, fruits, grains and nuts. Living is often otherwise termed as “raw.” It means the food is not brought to temperatures higher than approximately 118 degrees. This is a whole lifestyle in itself. In this lifestyle, you are literally eating life to get life. It can be challenging and it’s not for everyone. Even if you make living, unfired, vegan food half of your total food intake, you will notice marked improvements in your overall vitality. Choosing organic over conventionally grown is also a superior choice. Many believe this produce contains a higher overall nutritive content. It might be better to invest in the quality of your life-giving, even healing, food now than be besieged with doctor’s bills and the high costs of prescription drugs. 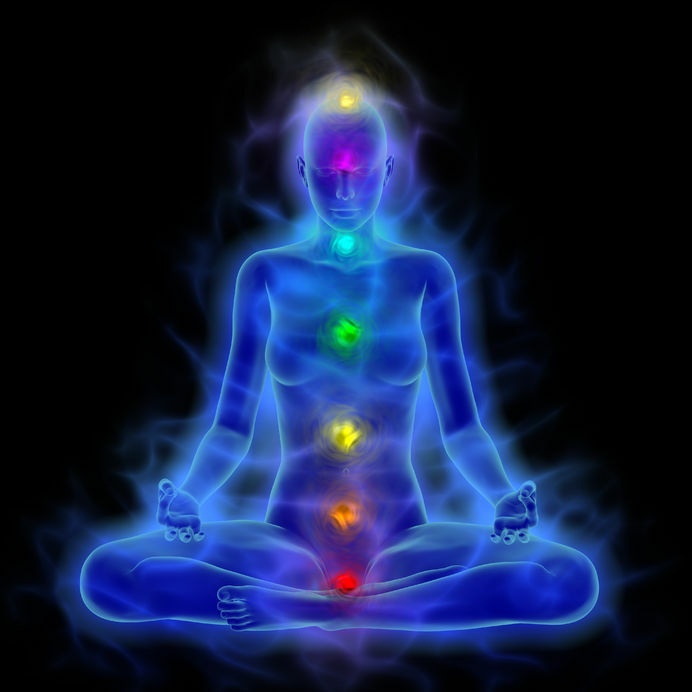 Visit a reputable bodyworker and/or chakra* balancing practitioner regularly. Regularly can mean as infrequently as once a month. Bodywork can include all sorts of holistic therapies including such therapies as massage and acupuncture. (We have an excellent blog post at our sister site at phyto5.us which provides a very nice list of holistic therapies. Go here to have a look. In addition, you may also want to read our blog post entitled, “15 Questions a Holistic Practitioner Should Be Asking You.”) Bodywork and chakra balancing gets your chi energy flowing and growing. Some sort of physical yoga practice can be equally as beneficial as bodywork and chakra balancing. The same results are achieved. There is a whole host of types of yoga and you may practice at your own pace and to the level the present state of your body will allow. In time, your practice will grow and evolve, delivering greater levels of strength, flexibility and vitality not just to your body but to your mind and spirit as well. The Key is Meditation on a Passage: All the wisdom traditions of the world have their own great spiritual texts, or passages. These passages convey our highest ideals and the qualities we most admire. Meditate on these passages, and these qualities will come alive in you, too. And equally as important as any of the above tips, laugh, laugh and laugh some more. Laughter is a healing therapy in addition to being just plain fun. It relaxes us paving the way for unrestricted energy to flow and to heal us. It lights up the cells of our bodies, electrically charging us with life triumphant! ©2018 PHYTO DISTRIBUTION, INC. ALL RIGHTS RESERVED.